Director Christopher Nolan’s reality-bending thriller Inception, starring Leonardo DiCaprio (Shutter Island), was released on DVD and Blu-ray in the U.S. on Dec. 7, 2010. Warner Home Video issued the U.K. release of the movie on Dec. 6, with a special Limited Edition Briefcase version. The DVD was priced at $28.98, and the Blu-ray/DVD combo pack, including a downloadable digital copy, at $35.99. In the PG-13 action movie from Memento director Nolan, DiCaprio plays a talented dream agent who can enter people’s dreams to steal secrets. Unable to go home because he is wanted for a murder he didn’t commit, DiCaprio agrees to enter the subconscious of an heir to a corporation (Cillian Murphy of Peacock) in order to manipulate his dreams and suggest actions. If he succeeds, the man (Ken Watanabe of The Last Samurai) who hired him will clear his name so he can once again see his children back home, but if he doesn’t, he could be lost in his own subconscious forever. 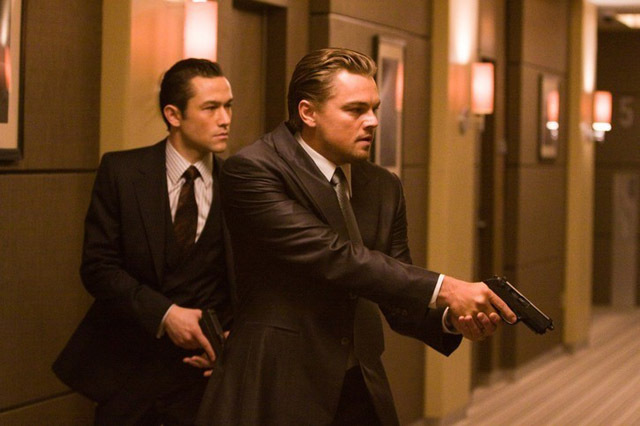 Ellen Page (Juno), Joseph Gordon-Levitt (Uncertainty), Marion Cotillard (Nine) and Michael Caine (Nolan’s Batman Begins) also star in Inception, which grossed $288 million when it ran in theaters earlier this year. and, via BD-Live web access, Project Somnacin: Confidential Files, about the inception of the dream-share technology. Inception undoubtedly should get a 5/5 in my opinion.